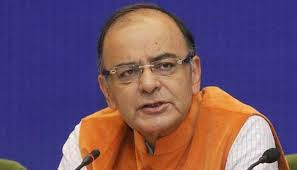 Union Minister Arun Jaitley exuded confidence that India will pip Great Britain to become the fifth largest economy in the world next year if economic expansion continues at the projected rate. However, rising international crude oil prices and the global trade war would throw up challenges going forward, he said. “If we keep growing at the rate which is being projected, it is likely that next year we will be the fifth largest economy ahead of Great Britain,” Jaitley said in a Facebook post titled ‘The Congress Gave Slogans to Rural India - Prime Minister Modi Gave Resources’. “This is in consonance with the rest of the narrative. Being the fastest growing economy for the last four years, we can look at the next decade as one of economic expansion,” he added. The new calculations were arrived on the basis of Indian economy’s performance in 2017. India’s gross domestic product (GDP) was valued at $2.597 trillion at the end of 2017 overtaking the French economy, which was amounted at $2.582 trillion last year. Crude oil prices, which were around $66 a barrel, in April are now hovering around $75 a barrel. The Indian economy is estimated to grow at 7% to 7.5% in the current fiscal, higher than 6.7% growth clocked in 2017-18 fiscal.